Using Arc Hydro tools in ArcGIS Pro for stormwater workflows? I’ve tried re-organizing my data and troubleshooting strategies I've learned with ArcMap but to no avail. Perhaps they still need to work out some bugs or revert back to Target Location folders. 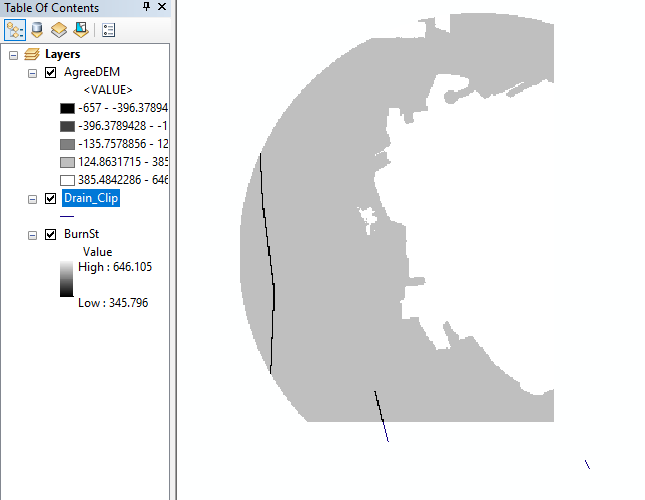 2/3/2019: I used the same rasters to create the AgreeDEM in ArcMap. The next step would be running the AgreeDEM through the Fill tool. 04/12/2019: I managed to successfully run the DEM Reconditioning script tool when I started all over and converted my raw DEM values to Integers. I left the output locations to default and saved all my precursor data in the same FGDB. Browse other questions tagged raster arcgis-pro error-999999 arc-hydro or ask your own question. Error running Arc Hydro tools function in ArcMap? What is Login to Esri FTP site for Arc Hydro Tools? Creating slope grid using Arc Hydro tools says dataset does not have spatial reference? Determining lake catchment in Arc Hydro tools?